I was recently playing with the design of my G3 Self MOC and got bored enough to attempt some of the other self MOCs that I've seen on here. 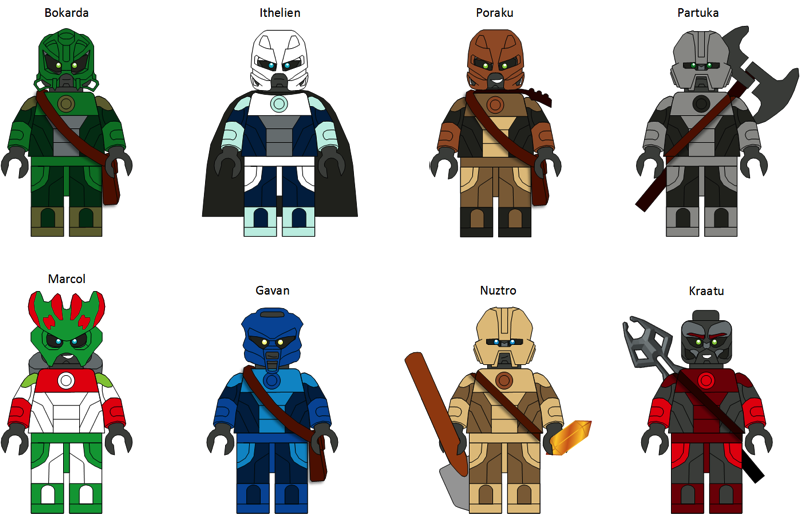 Most of these other MOCs had been done in the stylized design of @Noupix. 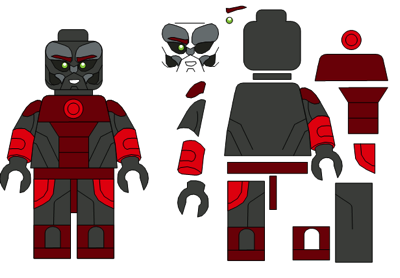 This time, they use a minifig template design to get a style closer to TTV's design. At some point I may come up with a side story for G3 that follows various Self-MOCs around. Finally finished the story I wanted to make with these guys. It serves as an overall intro to the Self-MOC cast and where they fit during the pre-freeze part of the story. Eventually I may make more for after the island unfreezes, but for now, this will be it. I don't use Google Docs much, so here's a link to it on my DA account. It's a pdf. Could we add our own submissions over time? Wasn't sure if I liked the TTV designs, but this made me like them! Can't wait to read the stories! I think some one should make an RPG. Thanks So far I don't have much planned yet. I'll probably start prior to the island freeze, and use info from the bios you guys made to get it going. I've been watching a ton of D&D streams lately, so now I really want a Brickonicle D&D. Though I'm not sure if the Matoran would have their own unique class, or just tweaks to existing ones. I have an entire topic dedicate to Brickonicle MOCs in this link. This should help you with a basic template, if you need it. @UltimateMustacheX: I just realized there are other MOCs hidden in my topic, not their own pages. You'll have to scroll through to see them all. I just realized there are other MOCs hidden in my topic, not their own pages. You'll have to scroll through to see them all. Yeah, I'm aware of those too. I started with all the ones that had a more fleshed out bio because they would be easier to use in a story. I'll probably run through those other ones soon, and start them as just brief appearances if I put them in a story. Nice, they all look great. It's cool that you used my Huna design and my sig-fig. Is it cool if I use my own mask design? I can submit it here and do the colours? Sure. 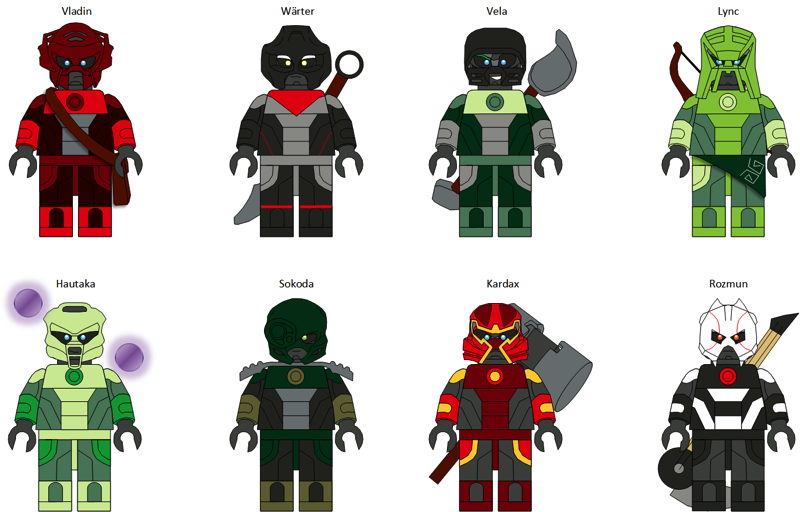 A few of the other MOCs I drew used their own mask designs (or at least the design Noupix did for them), and I mimicked that when I did it myself. This specific topic was basically a spot for me to post the versions I make, in preparation for a possible story (not so much where other people post them). So if you have some bio info (see the link Bokarda responded with), then you can make your MOC's individual info post and I'll link it like I did the others, as well as make a version of them in this style to add on here. Well, that's already fairly close to the style I'm doing, so I may not actually do him myself. Also, he's go a lot going on in that torso, so if I did make him, it'd be the simplified style I used on the others. If you have any bio info, just make a page (see Bokarda's link for details) and he'll be another Matoran I can throw into a story. 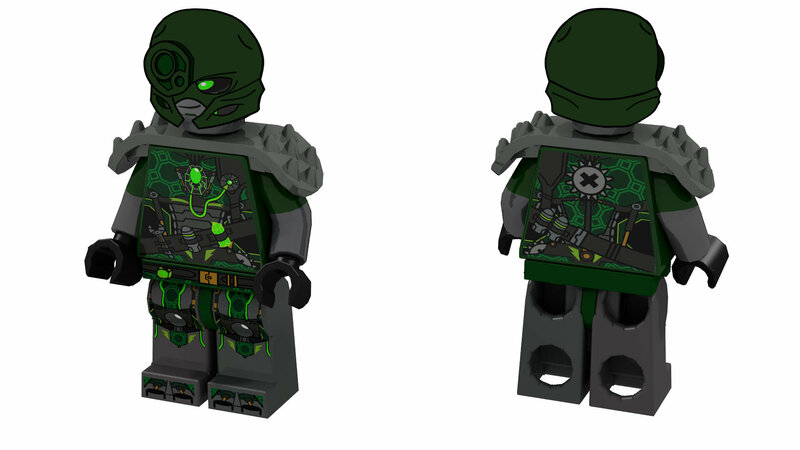 Could I just copy your templates based on the first image and use them to create my own self moc image? It would follow Bokarda's rules and credit to you for the template of course. Ok so here we have the simple version of Kardax Forge Master. I'll put his profile information on Bokarda's topic. If you need any part of that adjusted, just let me know. I use MS Visio for these, which lets me grab every individual part and swap the colors as needed. I currently have all the canon Toa heads/masks saved, along with anything new I make from the MOCs. Same goes for anyone's MOCs I put up here. These are quick to adjust, thanks to the program I use. I just tinkered around with one of the models on photoshop, I will probably produce a higher resolution image later, once I draw up the sword, hammer and bag. 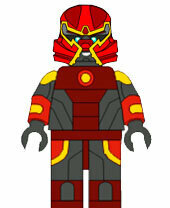 And finish that G3 LDD moc, finish that other LDD moc and wait for TTV to restart brainstorm. Oh and add to my renegade masks. Is this enough plugging? Wouldn't the proper terms for these guys be sig-figs, and not Self-MOCs? I wouldn't say so. Sig-figs are representations of you in LEGO form, and would be a figure you are known by (like Eljay is known for his Miru). However, these MOCs aren't necessarily figures that are tied to us. For me, this was the first time I ever made a character to take on my traits and I made it specifically for the G3 story, not for use elsewhere. So I wouldn't be known by the character. A few people might use their MOC as a representation of them, so for them it could be called a sig-fig. But since that's not the case for them all, I use the more generalized term MOC. Thanks for including mine, I love the designs!